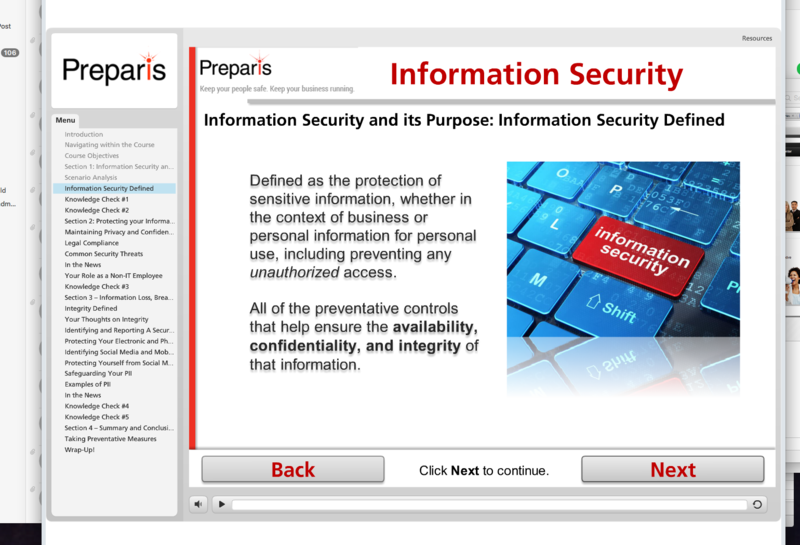 Save up to 30% on BC and cybersecurity by consolidating with Preparis. The Preparis Audit-Ready Package for Law Firms delivers comprehensive business continuity and cybersecurity preparedness and compliance more efficiently and cost-effectively than any other approach. The package includes a subscription to the Preparis Portal, an annual review and update of plans, 3rd party vendor assessments, an annual cybersecurity assessment and penetration test, an annual tabletop test, and reporting packages for audits and client requests. The Preparis Audit-Ready Package addresses specific guidance from ABA, HIPAA, and other regulatory bodies for cybersecurity and business continuity compliance. 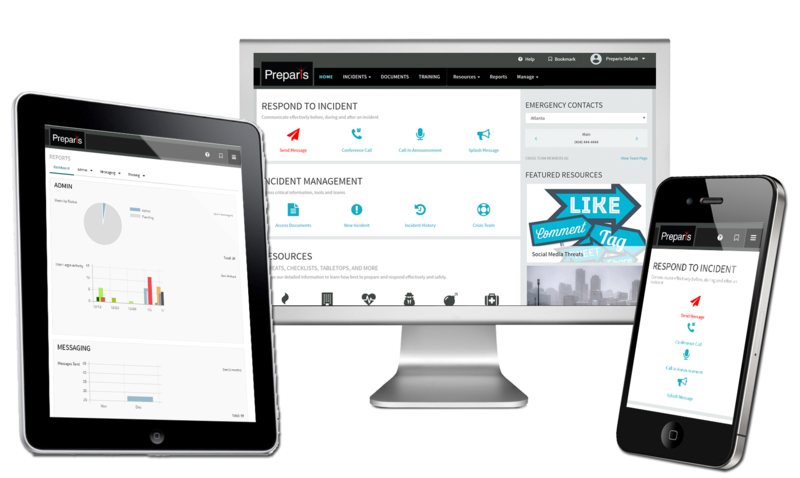 The Preparis Portal is your all-in-one platform managing business continuity and cybersecurity preparedness, response and compliance. Preparis will deliver an Incident Management Plan that provides structure, response protocols, and processes for managing any incident that disrupts business functions and operations. Each year we will update the Incident Management Plan to current best practices and regulatory requirements. 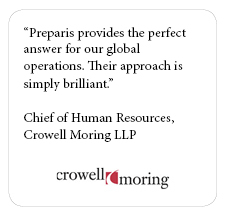 Preparis will develop an actionable Business Continuity Plan tailored to your fcompany that establishes recovery requirements, actions and roles and responsibilities. Each year we will update the Business Continuity Plan to current best practices and regulatory requirements. An annual cybersecurity assessment and penetration test will help minimize your security risks while meeting compliance guidance by HIPAA. 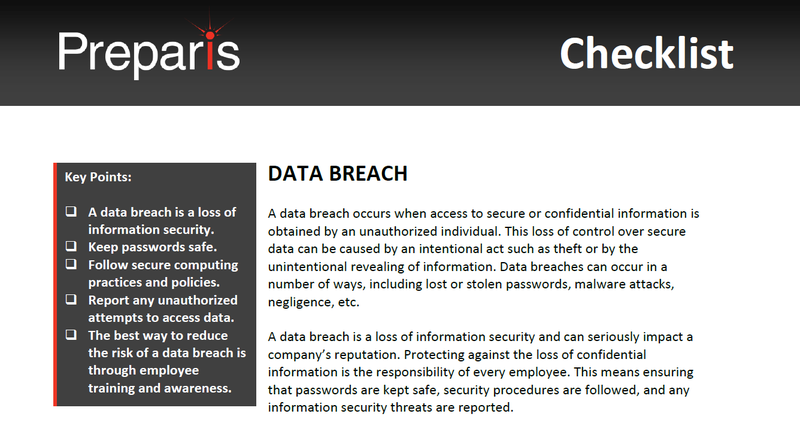 Preparis will conduct annual vendor assessments of 3rd parties critical to your company’s operations including vendors who may have access to your company’s networks, customer data, or other sensitive information. Preparis will facilitate an annual, live, in-person training exercise with your management team to simulate a crisis scenario and walk-through of the appropriate courses of action. The tabletop exercise will ensure team members are prepared to make the right decisions during a crisis situation, both in responding to the event and recovering the business operations. Find Out How the Audit-Ready Package from Preparis Can Help You to be Compliant.